Ok, we hear you. 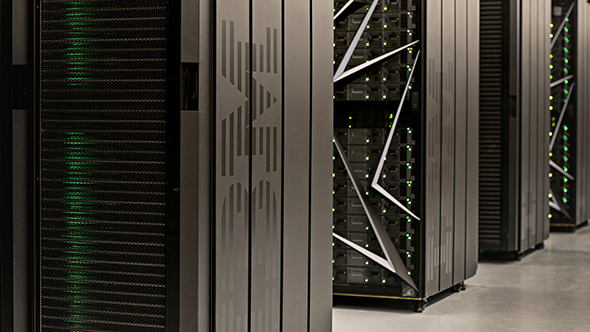 The most powerful supercomputer in the world, Oak Ridge National Laboratory’s Summit, looks like it would make for a pretty dank cryptocurrency mining rig. But just how good at mining those virtual cryptocurrency coins is it? We’ve carried the ones and dotted the zeros and, through our totally-not-shoddy mathematics, have accurately figured out just how much this Nvidia Volta GPU-powered supercomputer would earn in monthly profit if it turned its attention away from its current fruitless pursuits – such as solving the mysteries of the human condition – and instead focused its GPUs on mining precious Ether for one day. 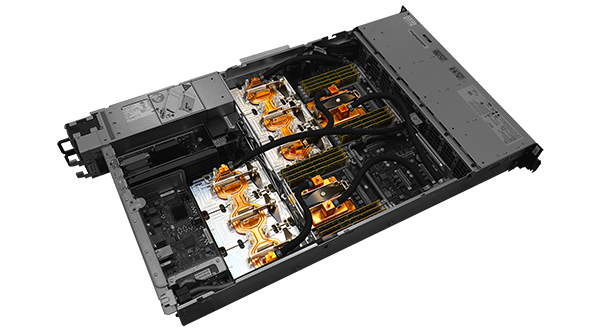 Multi-GPU systems are going out of fashion in the gaming world, so forget gaming on Summit. How’s just one of the best graphics cards on the market sound? 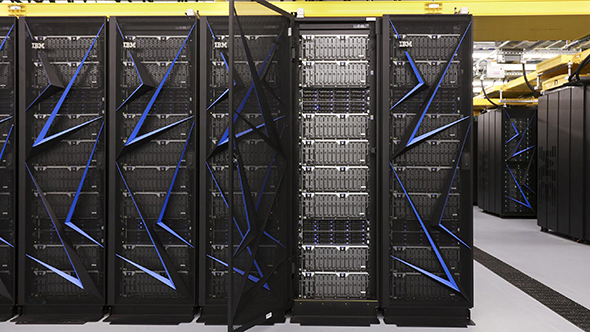 The Summit supercomputer comes with 27,648 of Nvidia’s latest Tesla V100 Volta GPUs; over 10PBs of DDR4 ECC, non-volatile, and HBM2 memory; and 9,216 Power9 CPUs from big blue. The 4,608 nodes occupy a space the size of two tennis courts, weigh as much as a commercial aircraft, and are connected by 185 miles of fiber optic cables. It can perform 200 quadrillion floating point operations a second, or 3.3 exaops (a billion billion calculations per second) in AI workloads thanks to all those Tensor cores. It’s also fully booked for the foreseeable future to take on some of the most challenging tasks known to humankind. But forget all that. Let’s get mining. We need a few components for our calculations. The first is the current value of Ethereum, which currently sits around $534 a piece. Next up, we need our hash rate. If we assume a mining rate for every Tesla V100 GPU is roughly 94MH/s – and we have 27,648 of them under watercooled conditions and running at peak performance – then we can roughly assume a total hash rate of 2,599GH/s. That’s nearly 1% of the total Ethereum hash rate as of yesterday, which currently sits at 274,306GH/s all told. Power costs are the next piece of the puzzle. The Oak Ridge National Laboratory is in Tennessee, somewhere outside Knoxville. The US Energy Information Administration, EIA, puts industrialelectricity costs for the state of Tennessee, on average, at $0.06 cents/kWh during the month of February, 2018. Seeing as Summit and ORNL are sponsored by the US Department of Energy, there’s certainly a chance of a discounted energy bill. But let’s just stick to the blanket average for now. Lastly, we need power consumption. 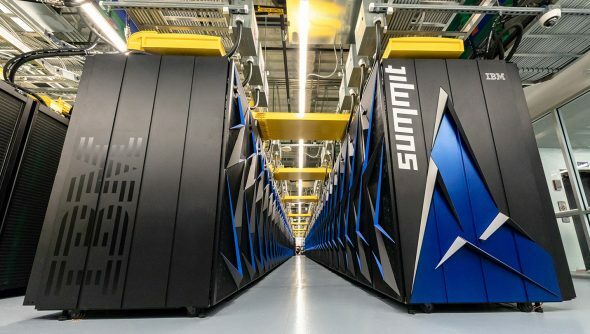 Nvidia lists the Summit supercomputer with a thirst of 13 megawatts, or 13,000,000 watts. Now we’ve got all our info we can put it into the ol’ calculator (and definitely not a webtool that calculates everything for you). All in all, the ORNL Summit supercomputer, with 27,648 Volta GPUs, mines enough Ether for a grand total of… $79k in profit for a single day. Over the course of one month, Summit would earn $2.36 million in profit. But we’re forgetting something pretty key here: component costs. The 27,648 Nvidia Volta GPUs alonewould cost over $221 million. It’s also over $10 million for the Power9 CPU, and over $30 million for the ECC memory. Ouch. In total, just to cover the very core components, you are looking at over $265 million. It would take roughly nine yearsto pay off those skyhigh component costs with the monthly mining income from Ethereum at the current price. Assumedly, Nvidia, IBM, and the memory suppliers cut ORNL a deal on costs – buy 27,647 Nvidia Tesla V100 GPUs and get one free, and that sort of thing.”The more you buy, the more you save,” as Jen-Hsun loves to shout on stage. But even half the initial cost would take many years to pay off – and who knows what the peaks and troughs of Ethereum pricing will be over the next few years. In conclusion, bigger isn’t always best for cryptocurrency mining – but we knew that already. Despite its copious parallel processing power, the Summit supercomputer isn’t such a sweet mining rig, after all. Best just leave it to solving the mysteries of the universe, then.